Tapes to DVD Transfer – fast and easy! Allcam/eStudy camera courses and film making tips and tricks. The technical aspects of film and television. The big advantage of DVD’s is, you can access certain content fast and direct. When you watch your old wedding video or holiday memories, you can navigate to your favorite spots fast. 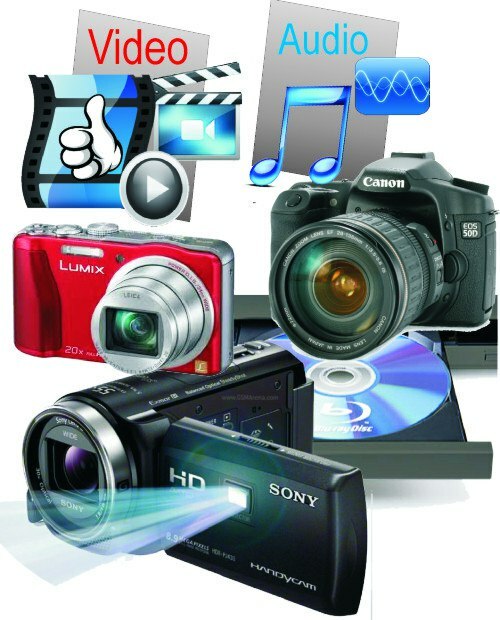 Of course you can connect your camera via fire-wire or USB to the computer, open moviemaker or your favorite editing program, start importing your footage and you are ready to go. However, if you don’t want to do too much editing, the fastest and easiest way is to use a standalone DVD recorder hooked up to a TV monitor for Tapes to DVD Transfer. First generation copies are not too critical, so you can connect the camera with the AV cables instead of the digital connection. Set the recording settings in the menu of the DVD recorder for best quality and you are ready. If you like to put the scenes on the camera in a different order or skip some, press the pause button on the DVD Recorder while cueing the tape to the desired spot. For multiple DVD copies record the tape onto the HDD of your DVD recorder first and use the fast copy feature to burn the DVD’s. Additional copies are produced in a fraction of the time!